ISRAEL – Jerusalem - Archaeologists have found a rare Egyptian artifact in Jerusalem. An Egyptian scarab, dating back to the 13th century B.C.E. (the era when some scholars speculate the Exodus may have occurred) was uncovered on Thursday at an excavation sponsored by the Israel Antiquities Authority at the City of David National Park. 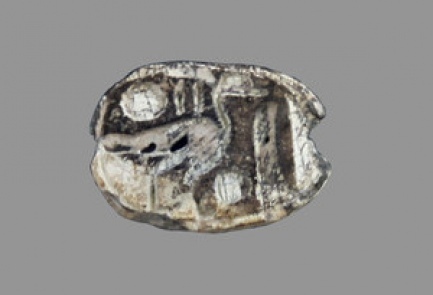 The seal is about a centimeter and a half in length and was used to stamp documents. It bears the name, in Egyptian hieroglyphic writing, of the sun god Amon-Ra, one of Egypt's most important deities. It is made of soft gray stone and also bears the imprint of a duck, which was apparently one of the sun god's symbols. The scarab is from the period of Egypt's 19th dynasty, which was known for its military conquests in Canaan. "This is the first time we've found a scarab of this kind in the City of David," said archaeologist Eli Shukrun, who is directing the dig along with Dr. Joe Uziel. "The seal is from the late Bronze period, during which time the land of Israel was under Egyptian rule. It's exciting and interesting to have discovered this unique artifact, and it gives us a glimpse into Jerusalem during that era." MALAISIE – Mansuli - The Mansuli Valley in Sabah's east coast Lahad Datu district houses the oldest human settlement in east Malaysia, archaeologists claim. Tucked inside a forest reserve and accessible only by a dirt road, researchers stumbled upon a treasure trove in 2003, finding more than 1,000 stone tools that are believed to date back 235,000 years. The research was jointly carried out by Universiti Sains Malaysia and Sabah Museum, which are also currently looking at other potential sites in the state's interior Apin-Apin district in Keningau. 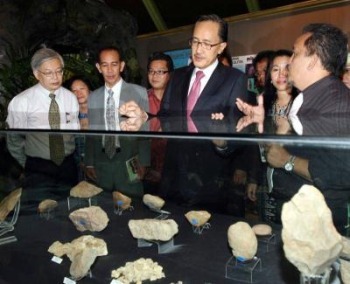 USM Centre for Global Archaeological Research director Prof Dr Mokhtar Saidin said the evidence showed people settled in Sabah during the Paleolithic period (also known as the Stone Age), 27,000 years earlier than previously thought. Before this, it was claimed the oldest human settlement, dating back about 40,000 years, was in the Niah Caves, near Miri, Sarawak. The professor said the new evidence showed that humans from the South-East Asian mainland came to Borneo when the Sunda Plain still existed. Dr Mokhtar said that when connected to other Paleolithic archaeological sites in Sabah, the Mansuli Valley site established that the early humans had consistently made this part of Borneo their home. USA – Montana - Thousands of archaeological sites exist in Montana, some dating back 12,000 years. Montana Preservation Officer Mark Baumler says, "I like to say that it fills in the gap that history and oral history sometimes leave with what's been known about what people do versus what we can find as evidence of what they did." Baumler says the artifacts recovered at prehistoric locations usually consist of the materials people leave behind, namely stones and bones. Baumler continues, "The stone tools that people made and used and relied on for hunting and for preparing food as well as evidence of the food they made." 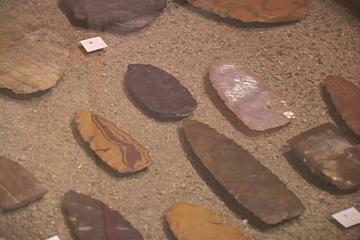 Artifacts on display in the Homeland Exhibit at Montana's Museum include spear and arrow points as well as pictographs and petroglyphs. They also have discoveries from more recent time periods. 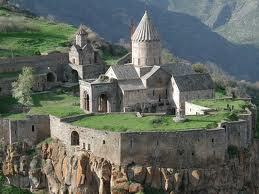 ARMENIE – Tatev - There is an ancient city in the area of Armenia’s Tatev Monastery, under the earth. This city is not yet studied, and archaeologists from Russia are planned to come to carry out studies, Iravunk daily writes, referring to the information it has received. “Senior specialist Boris Gasparyan of the [Armenian] Institute of Archaeology said: ‘There is a dwelling place here, but no one has excavated to understand what it is. When a church is restored here, first its surroundings must be excavated to reveal the economic life around it. And this is expensive and demands a long time. USA – San Francisco - Tile fragments from a burned adobe house, a bottle of Mrs. Winslow's soothing syrup and colored chips of ancient dinner plates are part of a vast cache of artifacts being scrubbed, studied and meticulously catalogued in a new laboratory at what was once El Presidio de San Francisco. The entire Presidio is officially part of the nation's only urban national park, but its historic center is also a site where soldiers and civilians from three nations - and the Ohlone people long before them- left traces of their lives when they moved on or died. 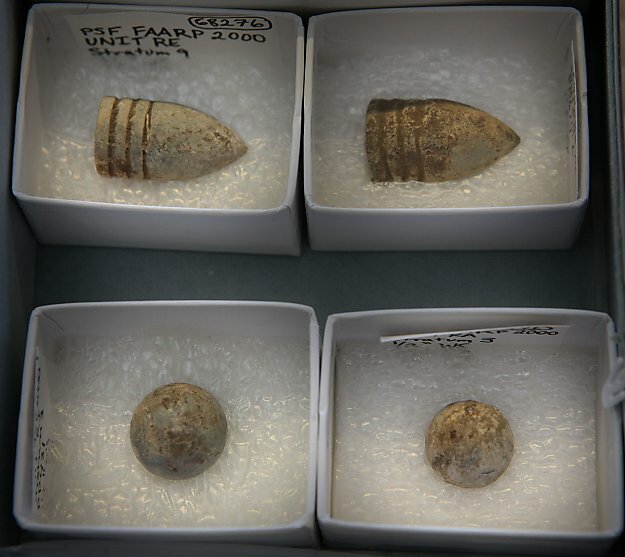 The scientists have already collected 526,000 individual artifacts, all variously dated from the ninth through the 20th centuries, according to Liz Clevenger, curator of archaeology for the Presidio Trust, which runs the park. USA – Catalina Island - A large cache of original papers and photographs had been discovered documenting the earliest excavations of Catalina Island by the amateur archaeologist Ralph Glidden between 1919 and 1928.